I learned a few years ago that saunas are helpful for detoxing but I’ve never done the research to find out all the benefits. I was thrilled when my friend Jordan from Detox And Prosper told me she would share what’s she learned over the last few years and how they can benefit our health. Read on to learn the powerful benefits of using a sauna. What’s the first thing that comes to mind when you hear the word “sauna”? I probably shouldn’t admit this out loud, but I’ve always pictured some fancy Scandinavian sweat lodge full of people with too much time and money on their hands. Little did I know that I would become one of those people…except I would be fighting for my life as opposed to simply having too much time and money. When Lyme disease forced me to make detoxing a full-time job, regular infrared sauna sessions made things a whole lot easier. 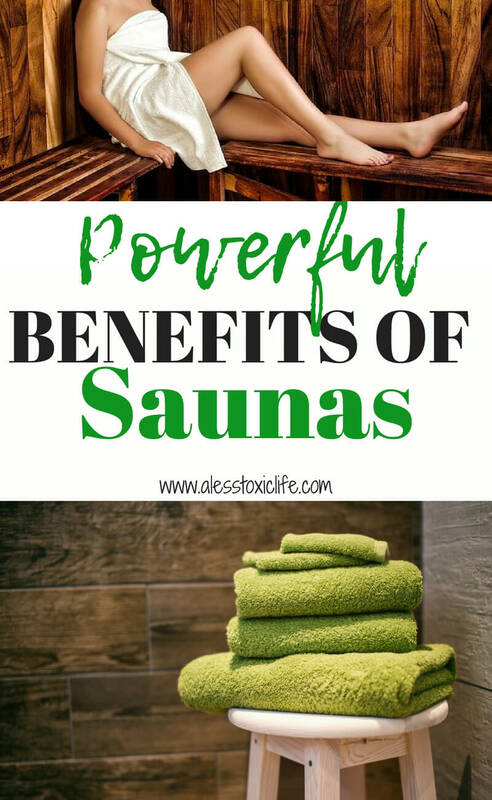 Today, I’d love to share with you the life-changing potential of saunas and how they work! Traditional saunas work by heating the air around you. In order to achieve any detox effects, it has to be heated to extreme and uncomfortable temperatures. Infrared saunas, on the other hand, work by heating your body directly and are the preferred sauna type for maximum detoxification. Not only do they jumpstart the detox process from a comfortable temperature, but its heat waves penetrate the skin, dissolving harmful toxins in the process. 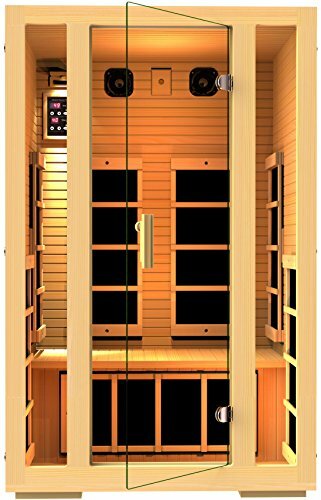 Please note that infrared heat lamps used in this type of sauna don’t cause skin cancer or expose your body to UV waves. The best way to understand infrared rays is to look at sunlight, which is a combo of invisible and visible light. Its visible light is represented by the colors of the rainbow, while its UV rays and infrared rays represent the invisible. The ultraviolet rays are the ones that can damage skin. Infrared rays, however, penetrate your skin safely, dissolving toxins while also revitalizing your cells. Besides traditional saunas, there are 2 additional types within the infrared category. The difference lies in how they heat the body. The heat in near-infrared saunas stems from a heat lamp. Most models combine heat and light therapy and only penetrate the skin about 8-9 inches. Because of this, their benefits are usually topical. Far infrared saunas use infrared emitters that produce wavelengths at an almost identical length to those our bodies naturally emit. These waves penetrate much deeper than near infrared, which is why they’re more effective at detoxing. Far infrared saunas (or FIR for short) also do more to burn calories like increase heart rate, increase body temperature and increase metabolic function. As you may know, the average body is loaded with toxins. Things like chemicals in our food and in the air can get into our systems pretty easily. Once inside, those toxins mess with our bodies’ overall functions. If we don’t actively lower our body’s toxic load, disease is the eventual and inevitable result. The primary way FIR saunas detoxify the body is via sweat. It’s one of the 3 main ways we release toxins, and since skin is your largest organ, it provides the biggest surface area to do so. Some studies have also shown that certain toxins excrete better in sweat as opposed to urine or bowel movements. One that sticks out in my mind is this study where BPA was found in the sweat of over 80% of participants with no detectable levels in their urine. Another study showed heavy metals like lead and mercury are excreted better through sweat than urine. Besides sweating, FIR waves are capable of reaching to the cellular level to boost mitochondrial activity and even positively impact the way proteins operate within the body. 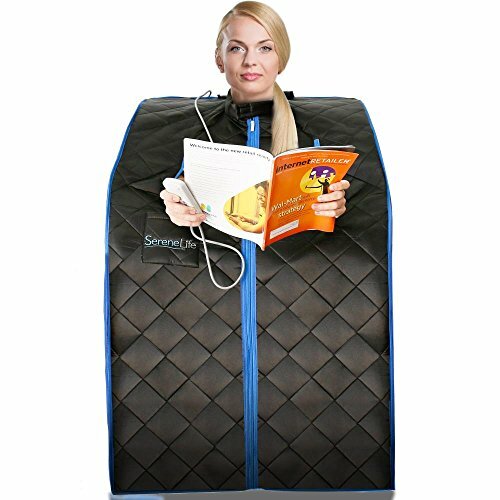 As mentioned briefly before, far infrared saunas work to boost metabolism, increase the heart rate, and increase the body’s temperature. By doing these things, your body is better able to burn calories. Studies have shown that regular sauna sessions over a long period of time work to lower overall cortisol levels, which is known as the body’s stress hormone. After a hard workout—or a bad night’s sleep—it’s normal to be sore. Sometimes it can be a pain though. FIR saunas help the neuromuscular system recover from activity safely and naturally. A study by the University of British Columbia showed that infrared saunas are able to normalize cholesterol and blood pressure levels as well as reduce chronic pain. The average temperature for an infrared sauna ranges between 120 to 140 degrees. I’ve personally found 135 degrees as a sweet spot. As my holistic nutritionist told me starting out, it’s best to limit your session in the beginning to 2 per week for only 20 minutes or so and work up from there. After a year of using a FIR sauna, I now do 3-4 sessions per week at about 45 minutes each. It has made a world of difference in my Lyme treatment and ability to stay on top of my body’s toxic load. If you need to up your detox game or want to take advantage of its many other benefits, check out infrared sauna therapy and see if it’s right for you! Jordan is a homeschooling mama to 3 kiddos whose life was turned upside down by a single tick bite. When traditional medicine could no longer help her, she began a journey of learning everything she could about natural health, nutrition, toxins and how our bodies work. She writes about her research at her blog, Detox and Prosper, where she helps families live well with less toxins one simple change at a time. Be sure to check out her Detox Library for her very educational free Ebooks! 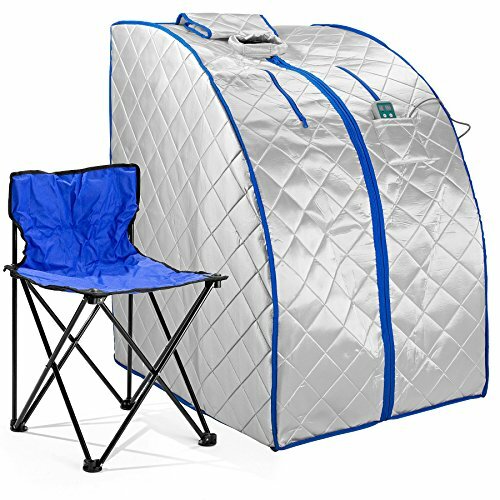 I’ve been looking at these home saunas on Amazon for several months. I have a friend who has one in her home. She loves it! After reading Jordan’s post I’m going to get more serious about getting my own. How Does Exercise Help You Get Rid Of Toxins? How To Detox On A Budget?